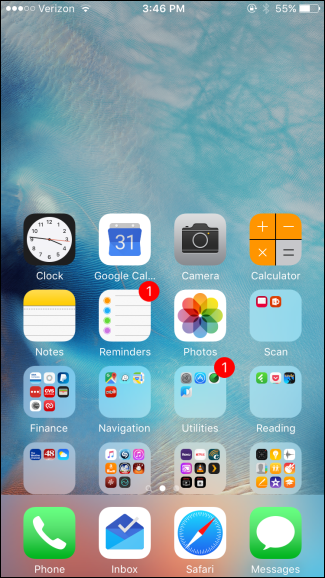 When Apple first debuted the iPhone 6 and 6 Plus with their larger screens, they also introduced a feature named Reachability that makes it easier to reach the top of the screen when you’re using the device with one hand. It’s surprising, though, how many people don’t know the feature exists, or think it’s some kind of bug when they encounter it. Here’s how to use it and how to turn it off if you don’t like it. Most people seem to favor phones with larger screens, even to the extent that these larger phones sometimes push out sales for tablets. Still, those bigger phones don’t come without their downsides, one of which is that they are a little harder to use one-handed. Enter the Reachability feature. 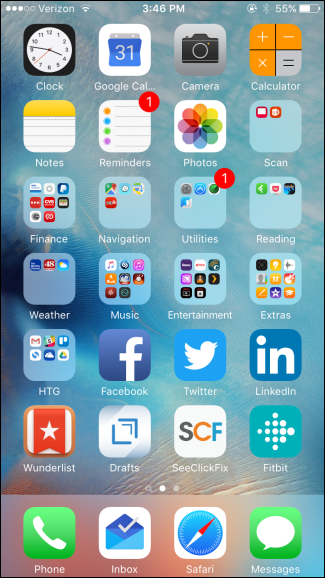 Using Reachability couldn’t be easier. You can use it no matter what screen you’re looking at, whether it’s an app, settings screen, or just your Home screen. All you have to do is double tap your Home button. Don’t actually press the button–just two quick, light touches will do. The screen slides down about halfway, putting whatever’s at the top within easy thumb reach. You can even drag down your Notification Center or Today view while the screen’s in this position. Whenever you select an action (tap an icon, make a menu choice, or whatever), the screen returns to its original position. You can also double-tap the Home button again to send the screen back into position. If you don’t use Reachability and find that it gets in your way, it’s easy enough to disable. 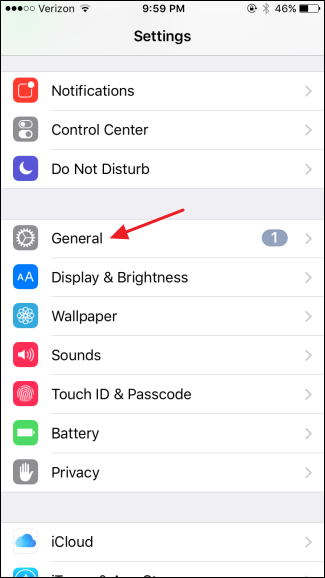 Fire up your Settings app and tap General. 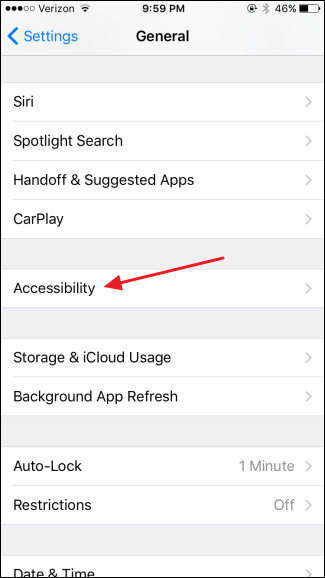 On the General settings page, tap Accessibility. 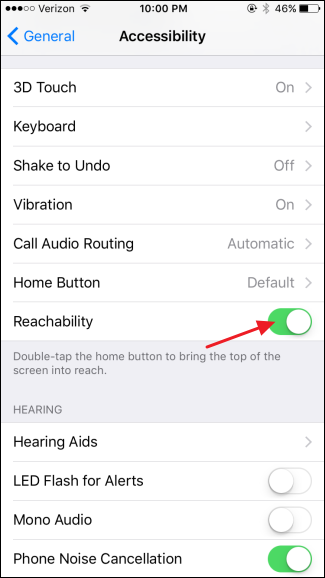 And on the Accessibility Options page, scroll down a bit and turn off the Reachability toggle. It’s a handy feature once you get used to it (and once you know why your screen’s sliding down like that), but if you’ve got big hands or just don’t like it, Reachability is simple to disable.